Relief materials leaving to Dolakha. 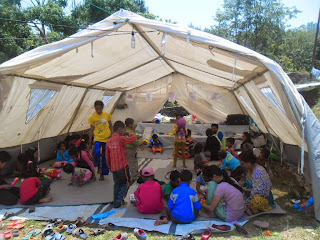 CPCS and other partners will set up a camp in Dolakha to support children at risks ! Many children are at risks of separation due to the earthquake. A mixed team including health assistant, counsellor, social workers, field workers will try to help.